August is dedicated to all things family history! 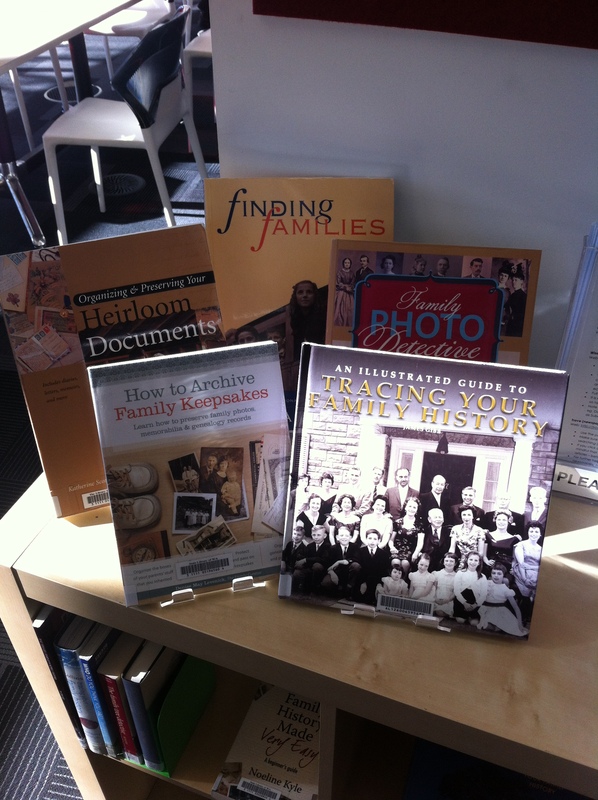 Pop into the South Perth or Manning Libraries and check out our family history displays for some very interesting books to help guide your family history research. If you’re a library member, you will also have free access to Ancestry Library Edition and Find My Past where you can search through billions of family history records. And don’t forget to check out some other events happening during Family History Month around the state…. Family History Month at the State Library of W.A. Family History Month events around W.A. 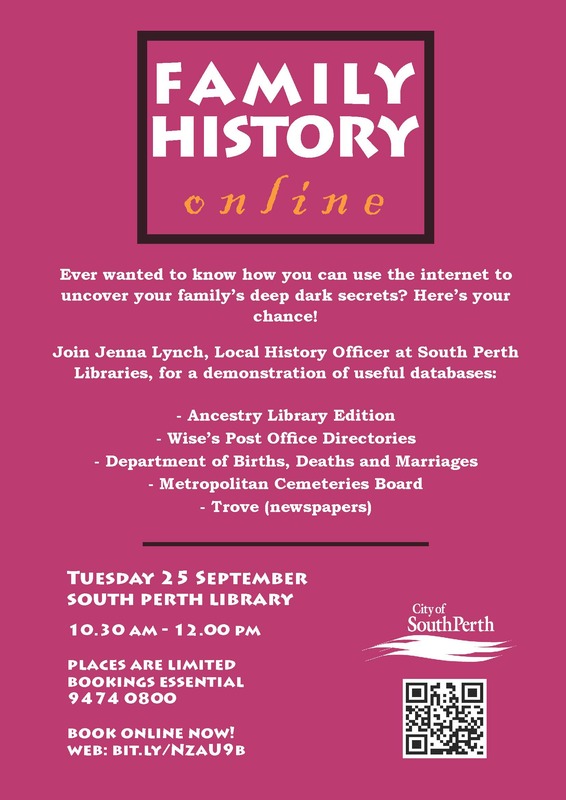 Visit the South Perth or Manning Libraries and get started on your family history research this month! With your library card, we offer free access to Ancestry Library Edition and Find My Past UK, Irish and Australian Editions so you can search through billions of family history records online. The sessions will be presented by Mike Murray from Time Trackers. Mike is a member of the WA Genealogical Society and has plenty of experience helping people trace their ancestors and put together their family story. Also check out the State Library of WA’s program of activities here and other family history events listed around WA here. If you’re researching from home and wondering where to start, you can find many useful links here too. The South Perth and Manning Libraries recently subscribed to Find My Past, one of the leading online genealogy resources, giving access to billions of family history records online. over 50 million family history records for Australia, New Zealand, Papua New Guinea and the Pacific Islands. millions of exclusive records from all the major players in Irish genealogy, such as the National Archives of Ireland and the National Library of Ireland. Tell me all of your secrets! I wouldn’t really expect you to do that…but I can help you uncover some of your family’s secrets! If you are a member of South Perth Libraries, you can visit Manning or South Perth Library and access Ancestry – Library Edition on one of our computers for free! Nada, zilch…you get it. South Perth Libraries have heaps of other free databases that can be accessed from home or in our Libraries. Check them out! ***Screwing your face up at the screen right now and thinking ‘what even is Ancestry?’ check out their Australian website.